This detail image of a flushmount album of Portofino Hotel Redondo Beach wedding photography highlights the rigid pages and quality mounting of Embrace Life Photography wedding albums. 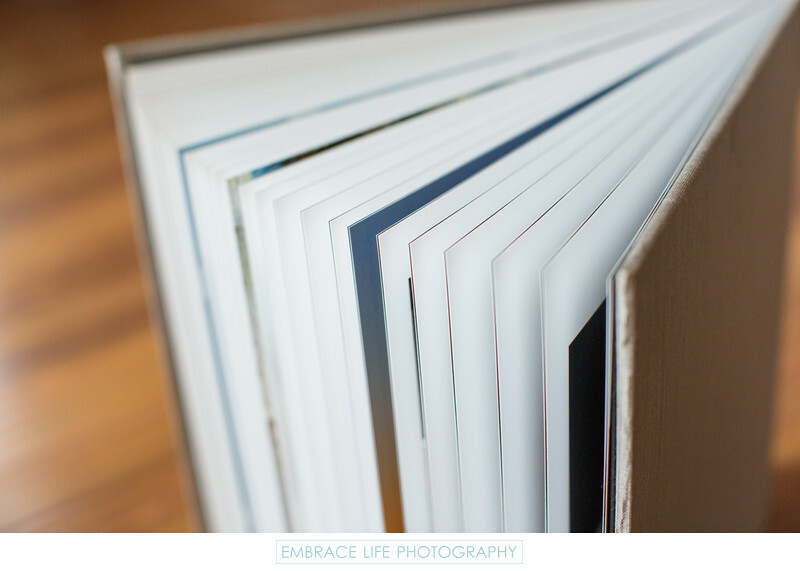 Each page is made up of two professionally printed photographs mounted to opposite sides of an archival, acid-free substrate, lending strength and durability to the album. Location: 260 Portofino Way, Redondo Beach, CA 90277.